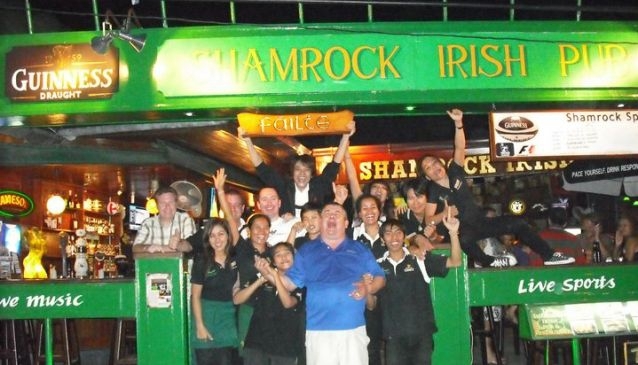 A famous pub in the thick of the action in Lamai with live entertainment. The food is traditional pub fare, with Thai on the menu also. A great spot if you like your live sports with 4 separate live feeds, for EPL, Rugby, Cricket on big screen televisions. The pub also boasts professional quality pool tables. Open from 9.30am for a full breakfast and close at 2am. The Shamrock has the atmosphere and welcome of Irish and Thai culture, perhaps the best combination for a pub! Let's not forget the most important thing about this pub, draught Guiness !